The master-planned community of Lakewood Ranch is known for its commitment to energy efficiency, nature conservation and green construction, but national home builder Lennar is taking this distinction to a higher level with Polo Run at Lakewood Ranch, the first solar energy neighborhood of Manatee County. Located near the Lakewood National Country Club and the Premier Sports Campus, Polo Run is being developed as gated community featuring 500 single-family residences powered by rooftop solar panel installations. If you have been thinking about taking advantage of solar energy, this is an excellent opportunity since you will not have to worry about extra expenses or modifying the structure of your property. Each home completed by Lennar in Polo Run will have solar panels and proper wiring as well as a special connection to the utility power grid. When you purchase a home in Polo Run, the electricity you use in the daytime will be generated by the rooftop panels; energy that is not utilized is transferred back to the grid and credited to the household. At night, you will use conventional energy from the grid, which will include the unused energy credits from the daytime. Since FPL charges higher rates for the electricity used during the daytime, living in Polo Run will help you save by reducing your monthly bills. Lennar is offering three home designs at Polo Run: Executive, Manor and Estate. Pricing starts under $300K for a two-bedroom Executive home built on 1,677 square feet. The Estate homes include the NextGen floor plan, which features a home inside a home for large families who live with adult children or elderly relatives; this model has up to five bedrooms and two separate garages for a total living area of 3,473 square feet. Buyers who close on a Polo Run property in 2018 will have a 20-year warranty on their solar panels in addition to the new construction warranty extended by Lennar. When all the amenities are completed, Polo Run residents will enjoy a swimming pool, clubhouse, exercise room, playground, tennis court, and basketball. 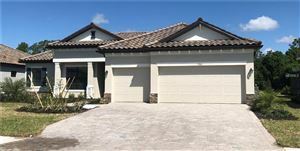 This neighborhood is just a couple of miles away from a Lakewood Ranch shopping plaza anchored by a Publix supermarket, and driving to the beach takes about 30 minutes. See all Polo Run at Lakewood Ranch Homes for Sale.